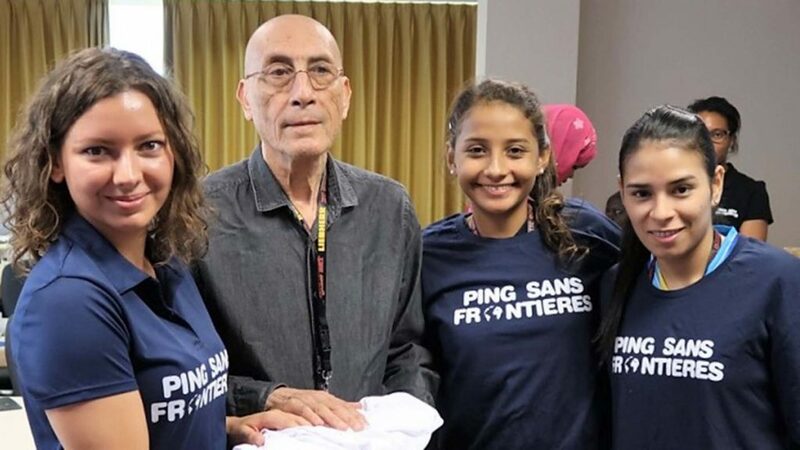 Pursuing the ideals on which it was formed, Ping Sans Frontières (PSF) donated equipment to several countries on the occasion of the Liebherr 2017 World Championships in Düsseldorf; thus very much supporting the slogan of the tournament “one world, one game”. 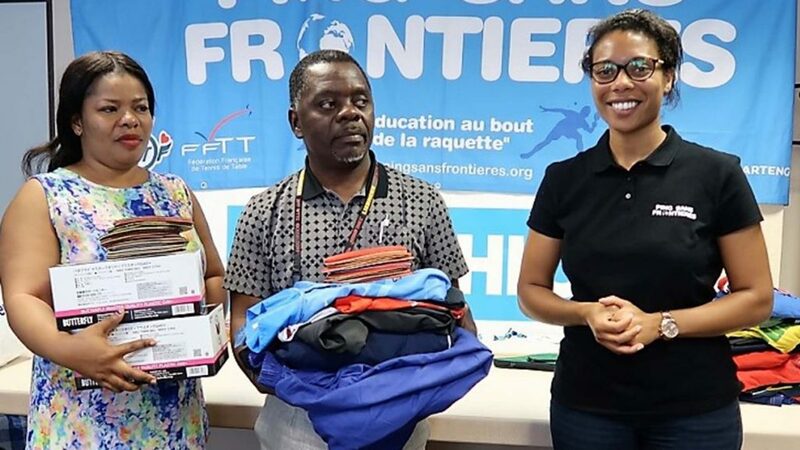 The presentations were made by the organisation’s founder and President, Sarah Hanffou and were made possible thanks to the support of French partner clubs and Decathlon. The presentations were made at the NH City Hotel in Düsseldorf on Thursday 1st June; the countries to receive donations were Burundi, Cameroon, Cuba, Djibouti, Gabon, Haiti, Ivory Coast, Kenya, Uganda, Dominican Republic, Salvador and Nigeria as well as Olufunke Oshonaike Foundation, an organisation established to promote table tennis in Africa. 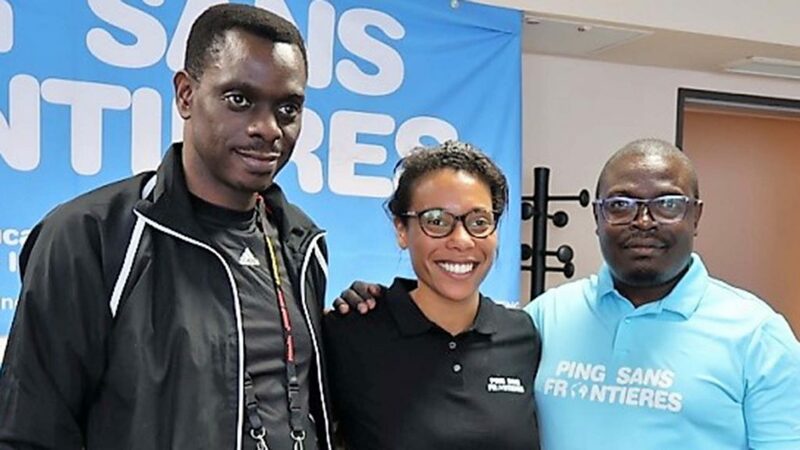 Representatives from many countries were present, all were grateful for the efforts that are being made by Ping Sans Frontières to promote table tennis, especially to enhance the cause of female participation. Additionally there was universal agreement that table tennis is a valuable tool for both understanding and education; especially in rural areas. 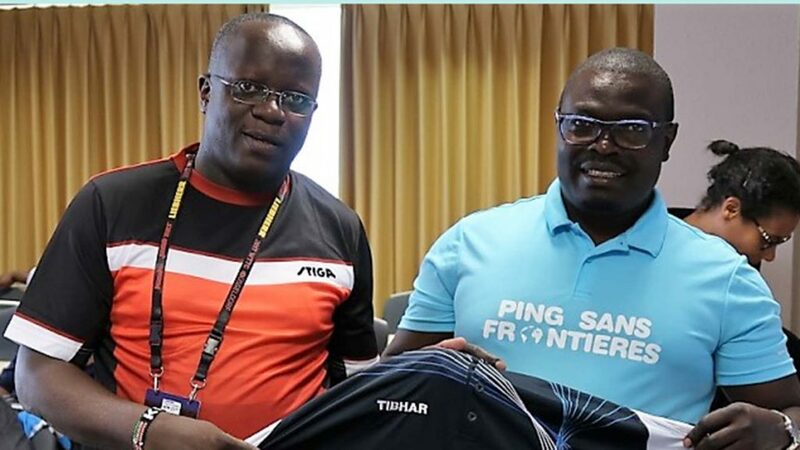 Also, boxes of balls provided by Butterfly were distributed to the national associations present; the Ivory Coast and Burundi in particular were grateful recipients having been major promoters of World Table Tennis Day. 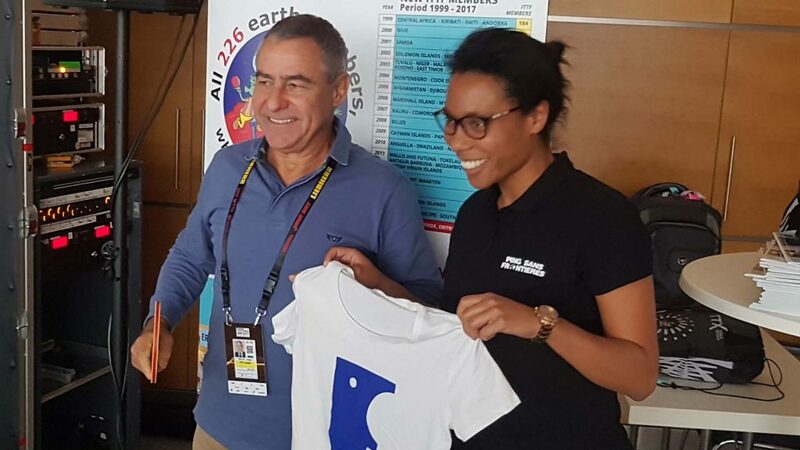 Furthermore, 20 kilograms of equipment was given to Cape Verde as a welcome present, the gift was received by Jorge Silva, President of the Cape Verde Table Tennis Association. Notably Sarah Hanffou thanked ITTF Development, Education and Training for its support in helping to promote PST initiatives across the globe.